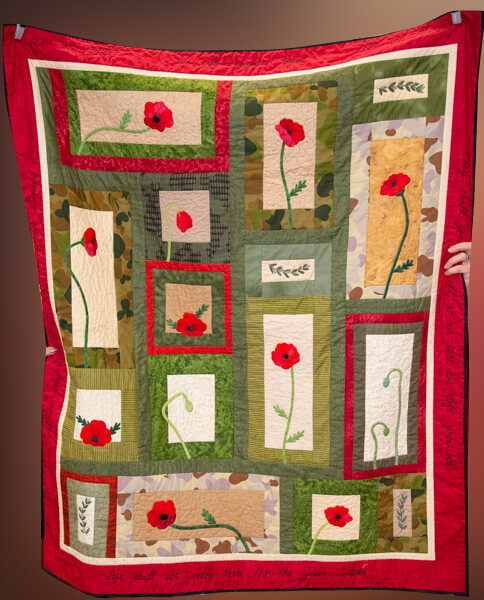 A remembrance quilt made during the year and finished on the way to Canberra for Armistice centenary celebrations. In tribute to my husband, father, grandfather and all veterans. It contains parts of army uniforms and was inspired by my poppy bag blocks.